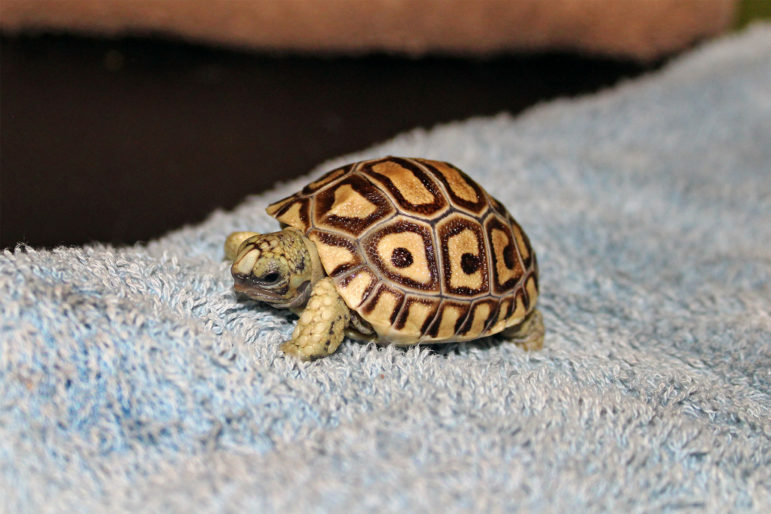 The Maritime Aquarium at Norwalk announces its first-ever hatching of a tortoise: a leopard tortoise on Jan. 6. The tiny tortoise is the first member of the turtle and tortoise family (Testudines) to ever hatch at the aquarium. The egg was the result of a pairing among six leopard tortoises added in a new display last summer. 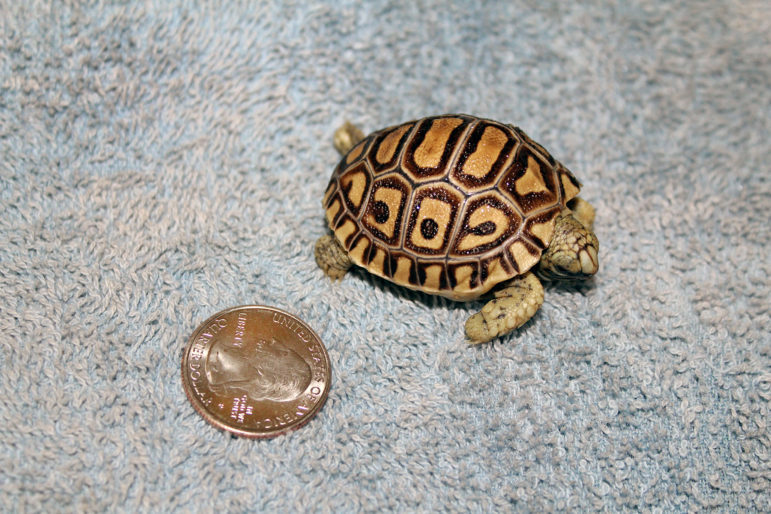 Though weighing only 10 grams upon hatching, the new tortoise will not stay small. Leopard tortoises are the fourth-largest tortoise species, growing to an average of 40 pounds. Christie said the hatchling tortoise will not be seen by aquarium guests until it is a little bigger and robust. A foot emerges as a leopard tortoise hatches at the Maritime Aquarium at Norwalk. 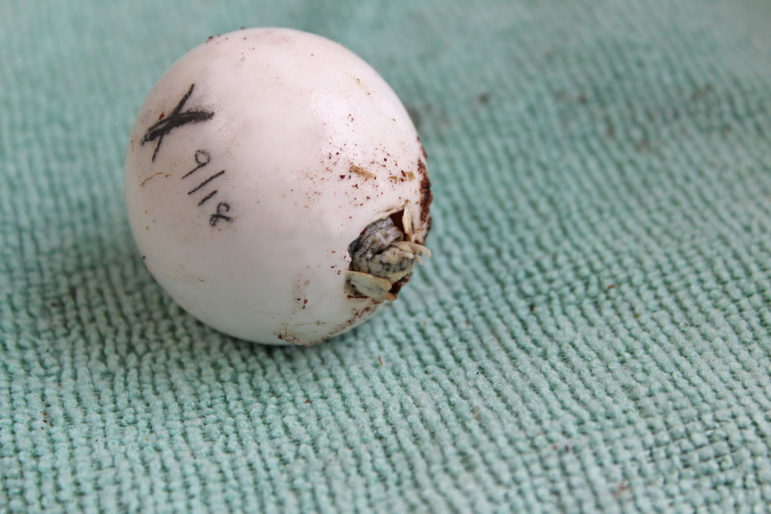 The egg was the result of a pairing among six tortoises added in a new display last summer. Leopard tortoises are native to the semi-arid savannas of central and southern Africa, from the Sudan down to the Cape. They are known for their highly domed carapaces with attractive contrasting black-and-yellow patterns. Learn more about The Maritime Aquarium’s animals, exhibits, IMAX® movies and programs at the aquarium website.